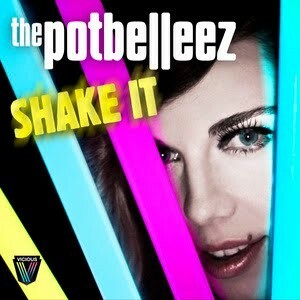 Gotta say, we’re totally liking this clip from Aussie dance outfit The Potbelleez. Doesn’t matter how simple it is (and let’s face it, it is pretty simple), it’s visually immersive, especially through its clever use of colour and movement. Who knew that a few fluorescent tubes and some glow sticks could come together to produce something so incredibly effective. But it’s not just the lighting that brings this together – it’s a great vocal performance and screen presence from Blue MC, some decent choreography and some fab effects in the post-production lab. ‘Shake It’ is the second single to be lifted from The Potbelleez’ forthcoming album ‘Destination Now’, which is out late January.